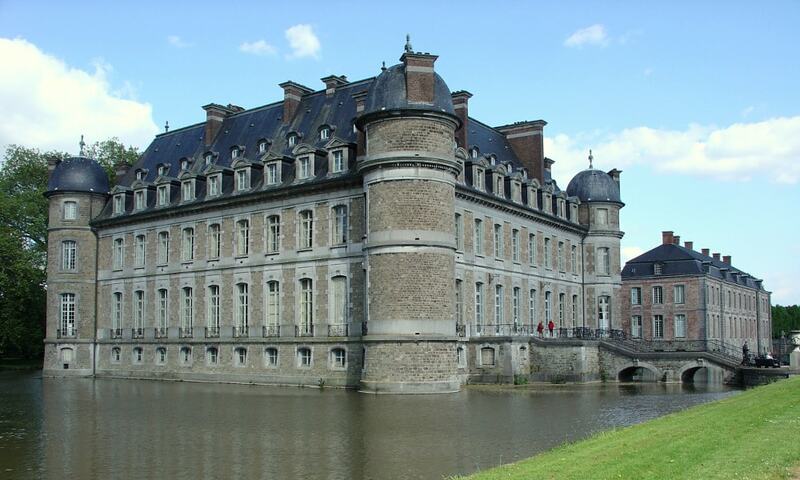 Chateau de Beloeil has been the residence of the Prince de Ligne since the 14th century. The castle lies in the middle of a magnificent Baroque garden designed in 1664. The castle and gardens can be visited during spring and summer. During the New Year's celebrations of 1900, disaster struck the castle when it burned down completely. Most of the furnishings, including the library of 20,000 rare volumes and the art collection, were saved. The castle was rebuilt in the following years and the interiors were redecorated using pieces from the Ligne collection.